Attention Getter pays homage to the Cardigan Welsh Corgi, a very loyal and affectionate dog. 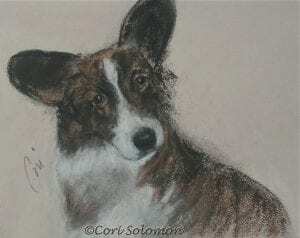 The Cardigan is often confused with the Pembroke Welsh Corgi. The difference is the Cardigan has a tail while the Pembroke does not.